Located in the Jiangsu Province of China is the charming highly-urbanized city of Changzhou. It is situated on the Yangtze River Delta and has always been a bustling commercial and trading area even in ancient times. Being close to the cities of Shanghai and Nanjing adds to its popularity as a tourist destination. Despite its modern aura, the city of Changzhou is also known for its spectacular scenery, ancient temples, parks, and other scenic areas. Hence, the city has seen a lot of domestic as well as overseas tourists in the last couple of decades. Having the best hotels and a tourist-friendly environment add to its charm. Also known as the Dragon City, Changzhou has a history that dates back to more than 2,500 years. It had a well-organized society whose details have been recorded in Chinese ancient history. The trend of prosperity and affluence continued even 1,300 years ago during the Tang Dynasty when Buddhism evolved in the region. The Tianning Temple built during this period was considered very holy by the Qing Dynasty emperors in later times. The temple has magnificent brick carvings of 500 disciples of the Buddha and 12 jade statues of the Buddha that showcase the religious fervor and artistry of the ancient people of the region. Changzhou City has also been famous for its silk embroidery. Today, their local markets have countless shops selling exquisite garments and accessories embroidered in a crisscross pattern with silk threads. Another item that is popular with tourists is their repertoire of handicrafts carved out of green bamboo. 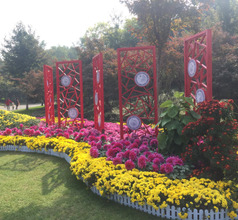 Being a modern urban region, Changzhou City has the best in 3, 4, and 5-star accommodation. 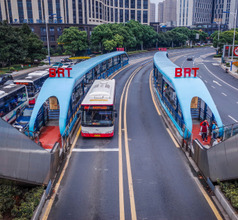 Most of the top hotels are located in downtown Changzhou and the localities of Xinbei, Zhonglou, Tianning, Wujin, and Tongjiang. The star hotels provide several amenities to ensure that all visitors have a memorable stay in the city. The amenities they offer may vary according to the star rating and include in-house multi-cuisine restaurants as well as round-the-clock services like housekeeping, laundry, in-room dining, concierge service, sightseeing assistance, swimming pools, airport shuttle, and more. The city also has its fair share of budget hotels, inns, guesthouses, lodges, and service-apartments. The tourist attractions in and around the city of Changzhou are a superb mix of ancient and modern. 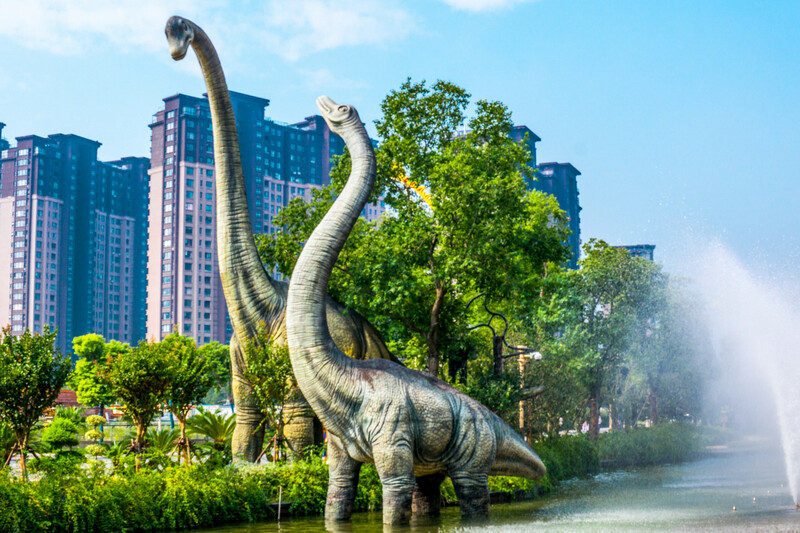 The attraction which families with kids love the most is the China Dinosaurs Park. This is a dinosaur-themed park within the premises of the Universal Dinosaur Town. 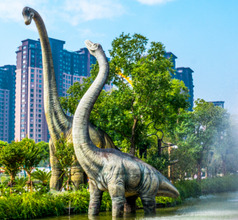 It has a dinosaur museum and several dinosaur-related interactive entertainment areas and recreational areas. 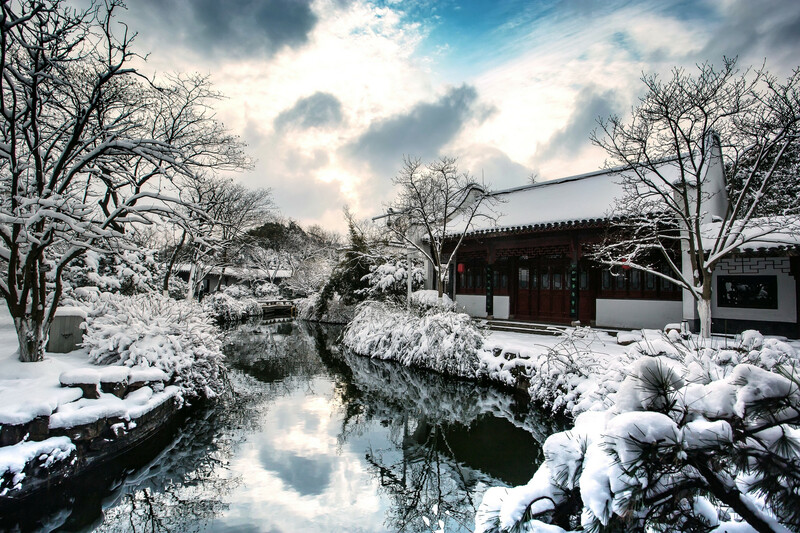 The Yancheng Scenic Area is another popular attraction near Changzhou City. The ruins belong to a civilization of the Spring and Autumn Period in Chinese history. Some of the sections are still well-preserved in the area like the city walls and moats on three sides. Another must-see in the region is the Tianmu Lake (artificial reservoir) located near the mountain of the same name. 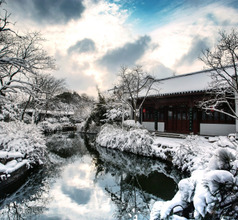 It is an hour’s drive from downtown Changzhou and is a very picturesque scenic area. The Combs Alley is another site that is worth a visit. The region is famous for its comb makers who have been in the business even during the Ming and Qing Dynasty reigns. They are known for crafting some of the most exquisite ornamental combs in the world. 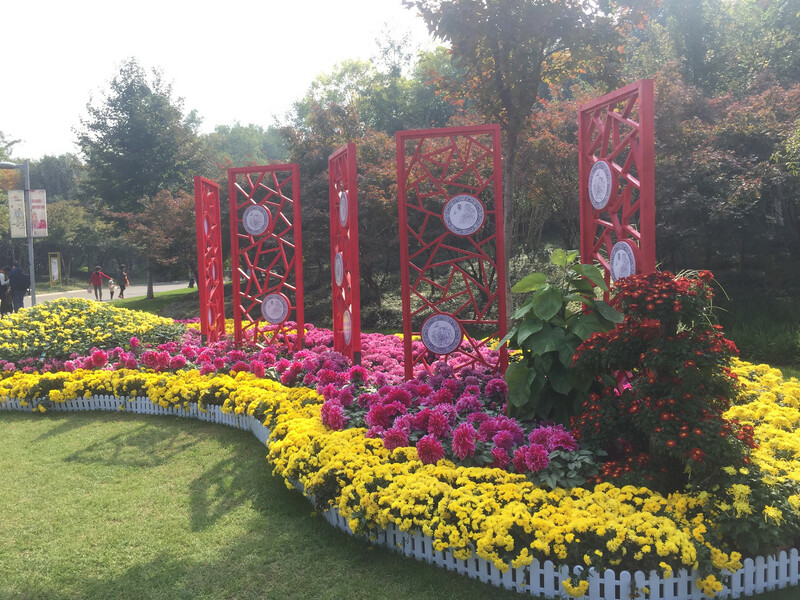 Other tourist attractions near Changzhou City are the Maoshan Mountain Scenic Area, Red-Plum Park, Qu Qiubai Memorial, Dongpo Park, Yanghu Square, Yilin Garden, Gaojing Garden, Jingchuan Park, International business street, Jin Garden, etc. 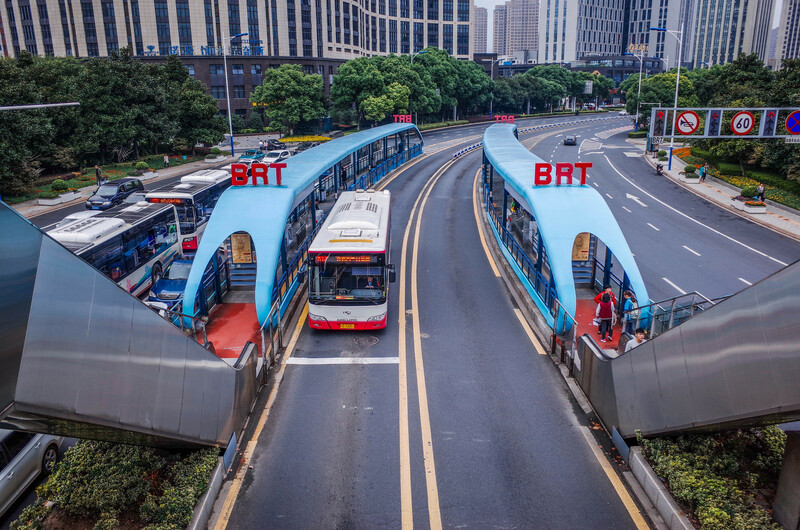 Between Changzhou Benniu Airport and the center of Changzhou city, there is a distance of 26 km which can be broached by car in 35 minutes and in over an hour by the public bus service. Airport has a solitary terminal which has local flights to Guangzhou, Shenzhen, Chengdu, Chongqing, Shenyang, Dalian, Changsha, Xi’an, Beijing and Xiamen; mostly by China Eastern Airlines. International flights to Japan, South Korea and Thailand also take off from here. One cannot visit Changzhou without trying out the local cuisine, which is known worldwide as Su Cuisine. The food is mostly of the Han Chinese style with an occasional dash of Wuxi cuisine. The dishes usually have medium spice and are very colorful and aromatic. Some of the food specialties of Changzhou City are goldfish soup, braised ribs, fried gluten balls, whitebait omelet, goldfish with fried shallots, sesame candy, pickled radish, Wuxi-style Xiaolongbao (steamed dumpling), Dragon’s Beard noodles (also called silver thread noodles), sweet sticky-rice-flour dumplings, etc.